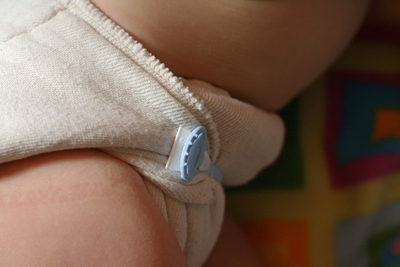 Delving into the world of prefolds this past summer was a scary thing for me since I knew that using oldschool diaper pins was definitely not within my comfort zone, being the sleep-deprived klutz that I am! So, when I started networking with blogging friend Shannon (a.k.a. 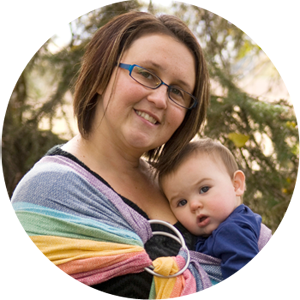 The Artful Mama) and chatting about her "Diaper Parties" Consulting service & business through Everything Birth, I was excited to hear that we could partner together on having me demo a Snappi, a pinless cloth diaper fastener! I had seen pictures of Snappis before and wasn't quite sure how I felt about them. In the photos I had seen, they looked rigid, and I imagined that they would be hard to work with and adjust on a growing (and wriggling!) baby! Little did I know (until I received the Snappi in the mail), these are actually made of a very soft, pliable rubber/silicone type material that allows them to bend, flex, twist, and stretch. 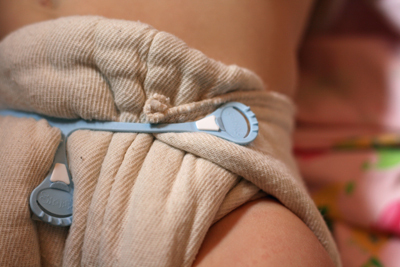 The Snappi fastener works like a tensor bandage claw, only it has three claws that are triangulated into three branches to ensure that equal tension holds a prefold snuggly in place on the tummy. I should mention that these claws are extremely sharp and could definitely cut sensitive baby skin, so you want to make sure that the Snappi ends are really anchored in well before you leave the prefold as is. For playtime and for mobile wee ones, I would definitely recommend using a cover while using the Snappi to avoid any owies that could result from curious fingers prying at it. All that being said, however, I have NEVER had it snag anything, come undone, or--frankly--move one bit, even when being worn for a 12 hour overnight stint. It holds really well, and the diaper never sags or bags even after lots of tumbling around. I am now the hugest prefold lover, thanks to this handy little fastener! And, quite honestly, one or two is all you need. If it ever happens to get soiled, this little fastener would be a cinch to rinse off in the sink. Having one at home for us has worked just fine since we primarily use fastened prefolds only for nighttime. I could see that having a second one in a diaper bag could also come in handy in a pinch, and since they honestly take up less space than a tube of lipstick, they are a no-brainer to keep in several handy locations (or at the babysitter's house, etc). The Snappi comes in two different sizes--Size 1 (infant) and Size 2 (toddler), and with plenty of stretch these have a wide range of fits for all baby body types and waist sizes. 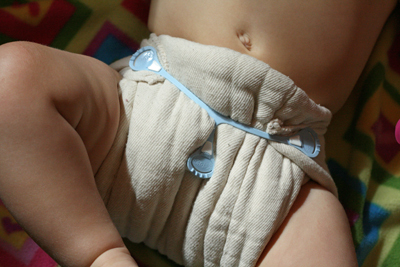 At only $3.95 (infant) and $4.95 (toddler) each, these are honestly one of the best inventions for modern diapering. I could never go back to not having one, and I'm so thankful for Shannon to introducing me to this handy gadget! 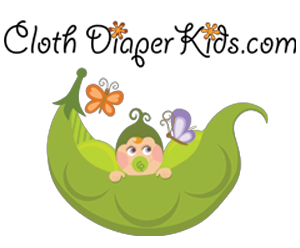 Head over to Shannon's consulting page with Everything Birth right now and buy your very own diapers, accessories, and other baby & mommy products from a huge selection of amazing products! 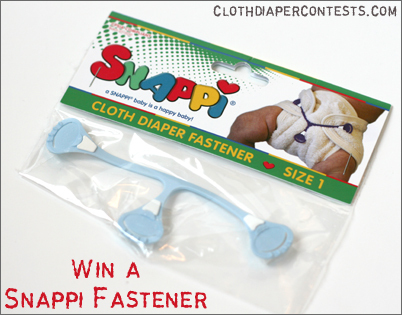 Shannon Riley, Diaper Consultant is also offering one lucky winner a Snappi fastener in your choice of size (infant/toddler) and in-stock color! Make a purchase from the Shannon's Everything Birth Shop and allow yourself one extra entry per item purchased! Final details: I received no financial compensation for this review or giveaway, though I did receive the sample items free of charge. All opinions shared are my own, and I was not persuaded to share anything other than my own thoughts. Other users may have different experiences with this product than what I have shared. This giveaway will end on September 24, 2011 at 11:59pm MST and is open to residents of Canada and the USA only. Winner will be chosen randomly using random.org’s services. The winner will be contacted by email and will have 48 hours to reply before a new winner is chosen. The prize will be supplied and mailed out to the winner by the sponsor of this giveaway. I'd like to try the Blueberry trainers. 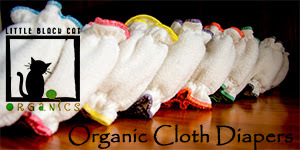 Like Cloth diaper giveaways on facebook. I like the Thirsties Duo Wraps. I would like to try the Bummis Cloth Diaper tote. I am new to cloth and am still buying prebaby! I "like" The Artsy Mama on Facebook! I would love to try the Flip Diaper System! I like CDC&G on facebook. I Visited Shannon's 'Everything Birth' shop and I know this isn't 'technically' on the shelves yet but I am super excited about the Make Your Own Diapers section!!!! The Kissaluvs Diaper Lotion Potion would be really awesome to try out. My kids get rashes every once in a while and I haven't yet found the cloth friendly solution that will work for us. I subscribe to CDC&G email updates. i would love to try one of the wee hugger snaps covers! I would like to try a HH pocket trainer. I've always wanted to try the Hiney Lineys from Everything Birth store! Like CD Contests & Giveaways on FB! Liked Diaper Parties & left a comment on FB! I'd love to try a tots bots tini fit Diaper from her store! I'd love to try the Kissa wool cover. I'd like to try the cloth diaper mini shower. I'd like to try a Kissaluv fitted newborn.